The Downtown Denver Rink is closed for the season. 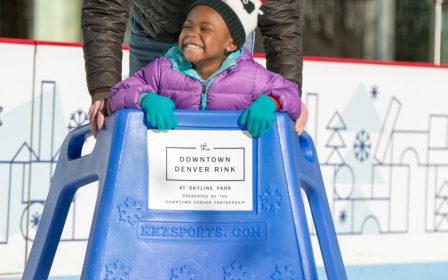 The Downtown Denver Partnership proudly invites you and your family to join us at the Downtown Denver Rink at Skyline Park Presented by Capital One – Downtown’s destination for fun this winter. 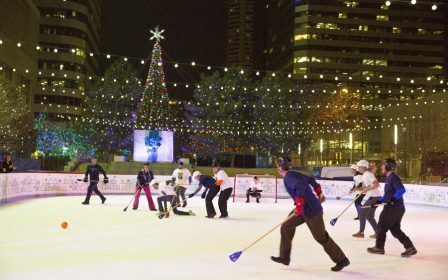 Winter of 2019 celebrates one decade of the Downtown Denver Rink which offers free ice skating seven days a week from November to February. Did you know 407, 406 skaters have glided across the ice in ten years? Here are some more fun facts about the 2018-2019 season. 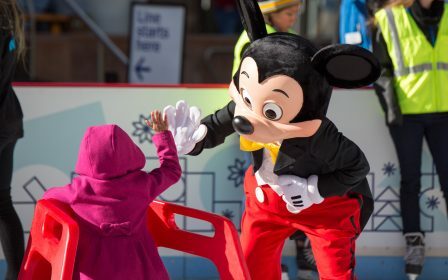 The Downtown Denver Rink provides special events for all ages. If a private party is more your style, we can make that happen too! Buy a season pass to get your weekly workout in, plan a Broomball Challenge or join us for Snowga! Make the best out of your ice skating experience and know before you go.